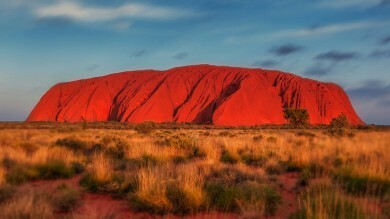 Taking an epic road tour on one of the most iconic coastlines of Australia should be on every traveler's bucket list. Taking a road tour on one of the most iconic coastlines in the world should be on any traveler’s bucket list. 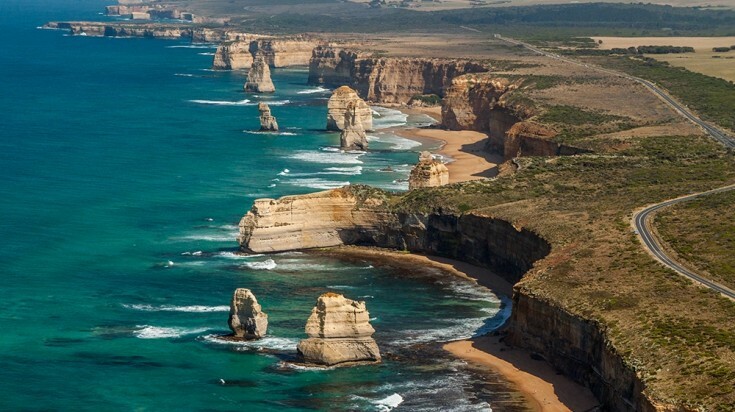 Road-trip adventures are always epic, but this Great Ocean Road route ups the ante with dramatic overlooks, craggy cliffs, and spectacular emerald water. 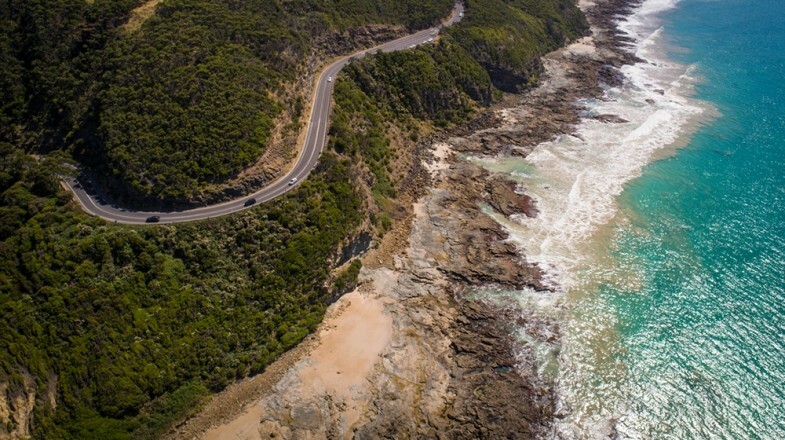 You’ll need to travel 243 km to take in all of the Great Ocean Road’s attractions. Dotted along the route are several quaint fishing towns which serve as perfect pitstops for soaking up the local culture. Or you can excite your adrenals with a number of adventure activities found on the beaches and in the national parks of the region. 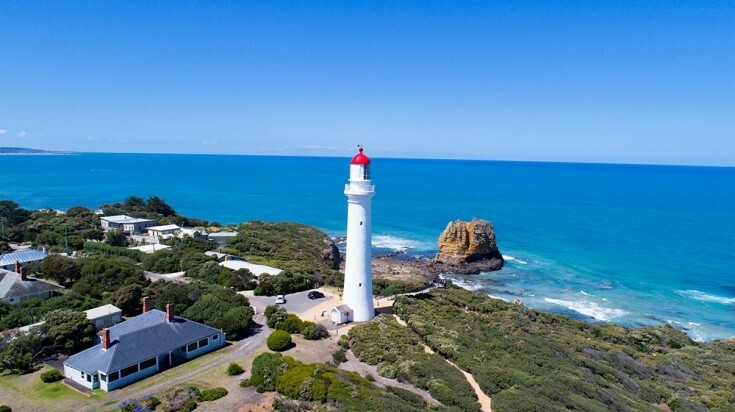 Starting in Torquay and finishing at Allansford, if you’re looking to follow a Great Ocean Road itinerary, here are some of our recommendations for what to see on the Great Ocean Road. Bells Beach, a world-class surf spot is a great pit stop for surfers along the Great Ocean Road. Located at the start of the route near Torquay, this gorgeous beach is surrounded by red clay cliffs creating a stunning natural amphitheater. It is an appealing beach for any visitor, but is particularly enticing for surfers. Bells Beach, a world-class surf destination hosts the world’s oldest surf competition, in addition to several other annual surf carnivals. Definitely one of the most thrilling Great Ocean Road activities, surfing here is best for intermediate and advanced level riders. Visit the Split Point Lighthouse also known as "the White Queen." Enjoy a bird's-eye view of the ocean from the top of this 70 meter tall working lighthouse. 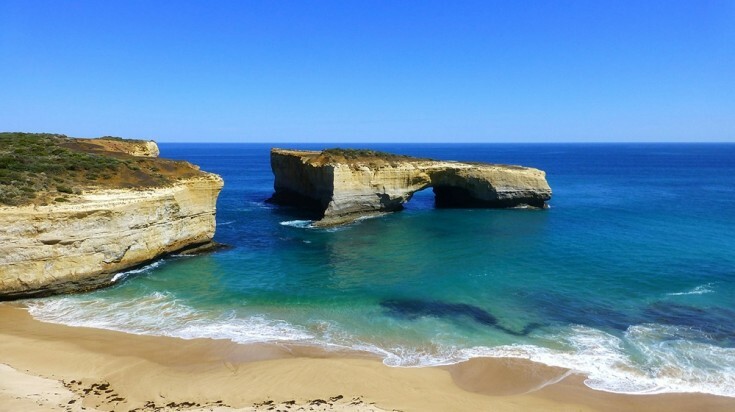 Also known as “the White Queen,” this is one of the most well-known Great Ocean Road sights. Capture impressive photos and learn about the area’s important maritime history. Afterwards, spend some time exploring the charming boutique town, Aireys Inlet. This small seaside town boasts a Mediterranean feel and is an important destination for many Great Ocean Road activities. 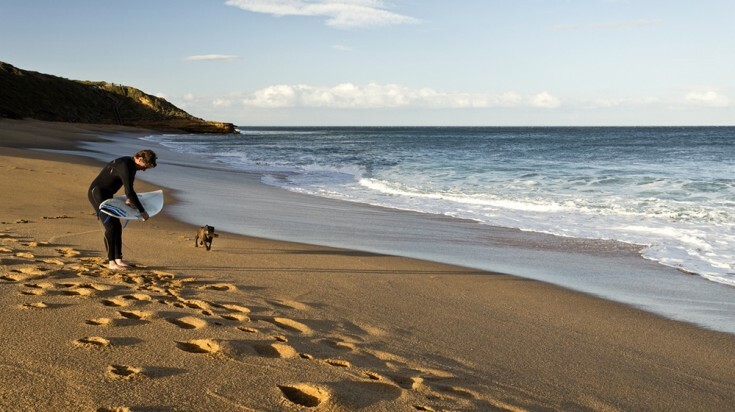 The beaches and coastal rock pools provide the perfect atmosphere for sunbathing and swimming. Many travelers appreciate the local pier, regarded as one of the best on the coastline, as it provides a great opportunity to catch barracuda, snapper, and squid. Very close to Great Otway National Park, Lorne is an excellent choice to spend a day or two while adventuring to nearby waterfalls and hikes. Want to see the Great Ocean Road highlights on a path less traveled? This 8-day walk starts at Apollo Bay, crosses through the Great Otway National Park and ends in Port Campbell National Park. Get the most intimate experience of the Great Ocean Road by walking through different landscapes along the way. Lush woodlands, deserted beaches, seaside rock platforms, and jaw-dropping clifftop vistas are all a part of the journey. 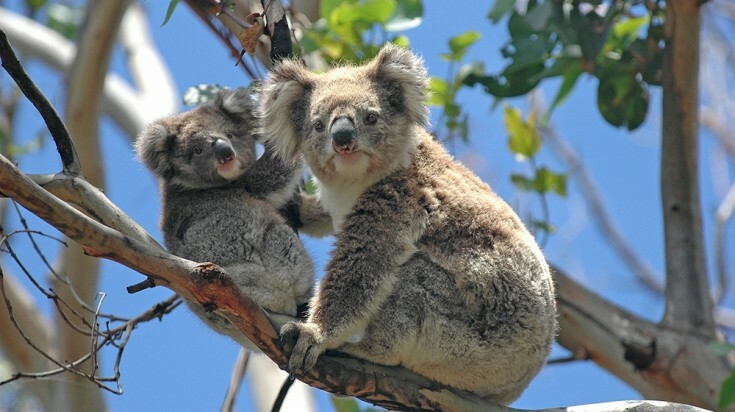 Koalas are common marsupials found in Great Otway National Park. Spectacular rainforests, cascading falls, expansive beaches, and rugged coastline define this Australian national park, making it an unforgettable destination all by itself. Taking a quick detour from the coastline, it is possible to walk through historic fern gullies, such as Melba Gully, or hike the steep 1-hour loop to iconic Triplet Falls. Next, head off through the Little Aire Falls path, where you’ll enjoy an unrivaled view of the falls from an 8-meter-high platform. You’ll likely encounter diverse wildlife among the way, particularly birds, as the park is a designated Important Bird Area. Excellent campsites are available in the park perfect for multi-day adventure trips. The best time to view the Twelve Apostles is at sunset. Don’t leave the Great Ocean Road without making it down to Port Campbell National Park. The breathtaking views from the coastline here are some of the most well-known. Gaze out from the cliffs at the magnificent limestone formations jutting from the ocean, such as The Twelve Apostles and London Arch. 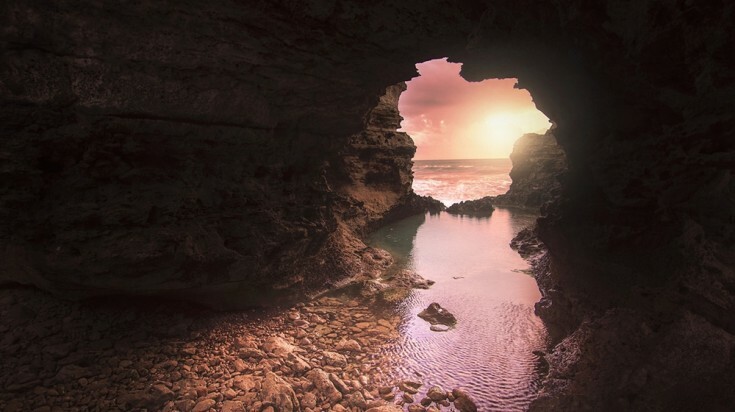 Swim in the secret cove of Loch Ard Gord or the serene rock pools of the Grotto. Save some energy to walk the 70-meter-high cliffs of the Gibson Steps before exiting the park. With so many things to see on the Great Ocean Road, you don’t want to miss a thing in this park. Just outside of Port Campbell National Park lies this coastal reserve offering more spectacular cliff views, but with less crowds. It’s entirely possible that you will find yourself alone as you ponder the greatness of the natural wonders here. Visit the nearby heathlands in the spring for a marvelous display of wildflowers. While this beach is technically just outside of the Great Ocean Road in Warrnambool, it is a popular end point for the journey. Between the months of June and September, it is a must-visit destination for witnessing whale migrations. Travelers can enjoy the spectacle from a long whale-watching platform on the beach. 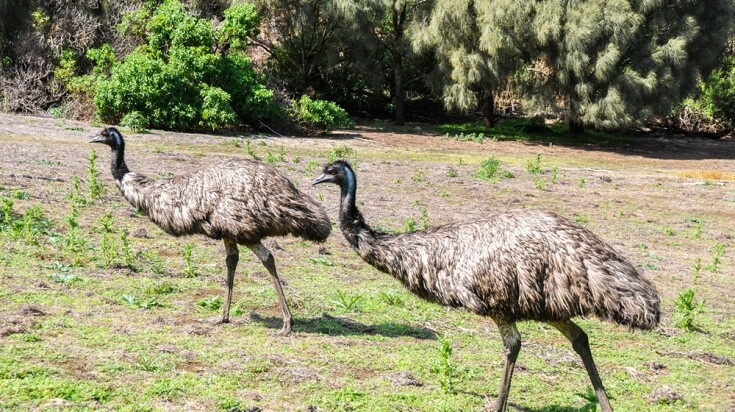 The Australian native bird, Emu, can be spotted during a self guided tour in Tower Hill Wildlife Reserve. Tower Hill Wildlife Reserve is another gem often touted as a top Great Ocean Road attraction, though it also sits just outside the official touring area. Situated away from the coastline, this area is home to an inactive volcano and provides fantastic opportunities for wildlife viewing and self-guided walks. Koalas, kangaroos, emus, and many species of birds can be spotted throughout the reserve. 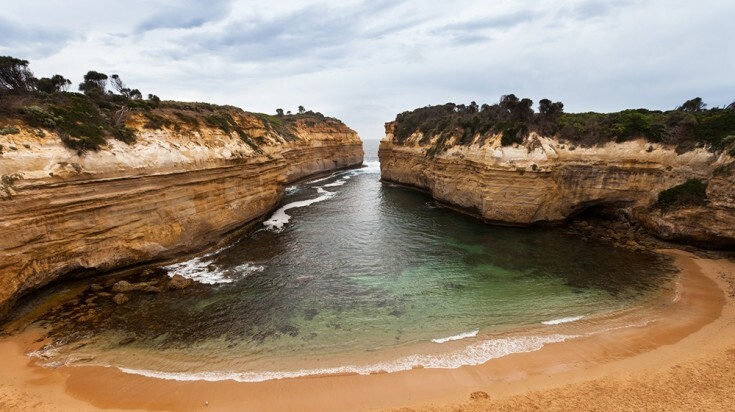 The Great Ocean Road can be completed in a day but to get the best of this tour, make sure to plan 2–3 days. 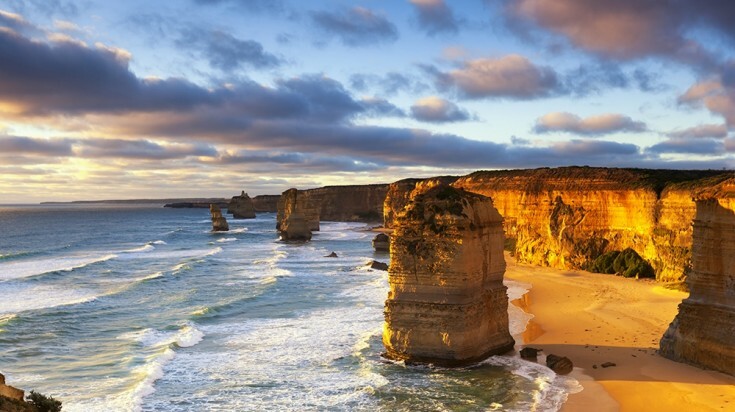 While it is technically possible to complete the Great Ocean Road route over the course of one day, you’ll be able to fully take in the sights, learn about the local culture, and enjoy more adventure activities if you set aside at least 2–3 days for the trip. Look out for plaques along the route sharing the stories of WWI soldiers who built the road, now regarded as the world’s largest war memorial. There are many winding roads and sharp curves. If you become car-sick easily, prepare accordingly. Take precautions during inclement weather. Helicopter flights are an exciting way to get an alternate view of the coast. You’ll never forget the scenes. Simply put, you won’t experience a road trip with views this incredible anywhere else in the world. With a coastline this epic, visiting the Great Ocean Road attractions is a definite to-do when traveling in Australia.